Moons change our energy as much as they change the tides. On July 12th, we experienced a new moon in conjunction with a partial solar eclipse. New moons represent a time of new beginnings, and a partial solar eclipse intensifies the effects of a new moon. This year, solar eclipses are very far from the north nodes. The new moon phase especially affects Gemini energy. It is a time of flexibility, adaptability and new beginnings. We should embrace a reflective energy - harnessing a willingness to learn and make mistakes. Be aware of thinking patterns and communication to achieve positive change for the future. It is a great time to get in touch with your Leo energy, a curious and adaptive energy. Express yourself and cultivate your creative passions in life. Enjoy your fun, creative energy and use it to broaden your horizons. 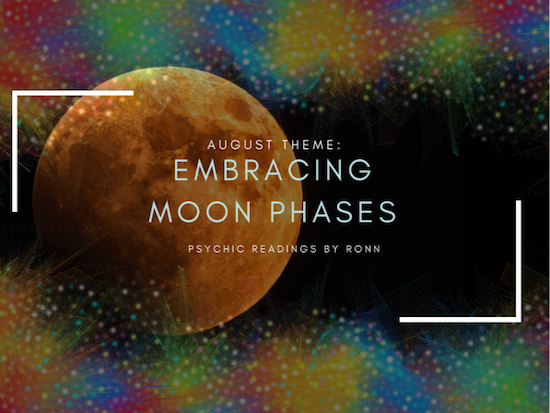 Cancer energy from this moon phase gives us a new direction in life. Use this time to get in touch with your feelings and emotions. Harness your past and listen to your inner thoughts to learn more about yourself and take strives in a new direction. One of the most important aspects of the new moon is integrating the deeper dimensions of Pluto. This is all about your subconscious and accepting your environment and the deeper parts of yourself. Use this time to accept your fears and inhibitions, then rise above and be at peace. A whole new perspective is possible with the new moon, and our perspective and thoughts have the power to affect our lives. It’s about balancing the practical with the possible and being self-aware. If you’ve felt great potential building this year, now is a great time to develop that energy and open yourself to new experiences. Because of Jupiter’s position, it’s a great time to give attention to relationships and connecting with those around you. You may find yourself experiencing more ambition. Continue to try new things, enjoy the present and harness your inner energy to affect positive change in your life.